Chris Avalos defeated Miguel Flores via fifth round TKO after the fight was stopped when ringside doctors deemed Flores unable to continue due to cuts around his left eye. This week on PBC Jabs we recap the action from our thrilling July 15th and July 18th shows and we check in with 135-pound champ Mikey Garcia who battles Adrien Broner in a highly-anticipated showdown July 29th on SHOWTIME. 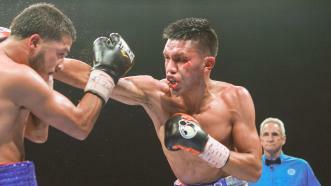 Former world title challenger Chris Avalos gained a controversial fifth-round TKO over Miguel Flores in a 126-pound bout. 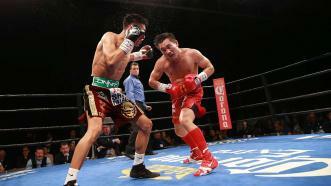 Dat Nguyen scores an impressive TKO victory over previously unbeaten Miguel Flores. 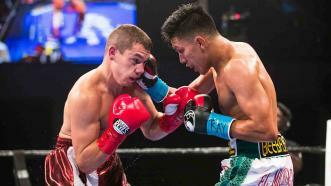 Dat Nguyen overcame long odds, dropping and stopping previously undefeated 130-pound prospect Miguel Flores in six rounds in Flores' hometown of Houston. 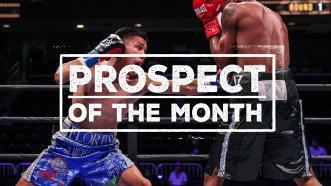 Undefeated 126-pound prospect Miguel Flores is 21-0 (9 KO's) and he is Premier Boxing Champions Prospect of the Month. 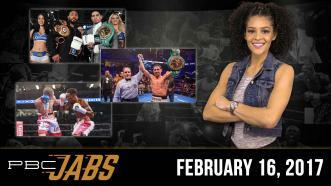 On this episode of PBC Jabs we recap our thrilling February 10th Bounce TV world title doubleheader, welterweight champion Danny Garcia has a message for his haters and we preview our upcoming fight cards. 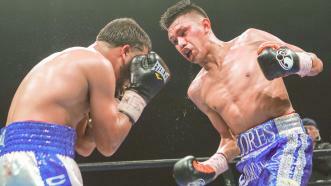 Miguel Flores remained unbeaten with a hard-fought 10-round unanimous decision over Ryan Kielczweski in a battle of 126-pound title contenders.